Though this section of our website is more biased (at the moment) towards specials or sales that we have in our Local Shop, we also have some specials running in our new Online Catalog! These specials can change from week to week and may correspond with current advertising around our community, so please don’t forget to check back often to see if there’s any new deals. Also, please be aware that most, if not all, of the prices listed in our new Online Catalog are List/Retail prices and not what you would actually pay. 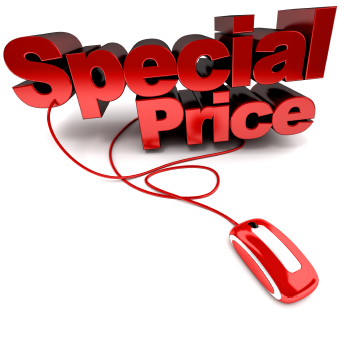 Currently you have to create an account on the catalog site and be logged in to be able to see the correct discounted or sale prices. So please do not be turned off by what you see right away if you are just browsing as a guest.